Despite severe budget cuts to the New York City School system that almost devoured the champion chess team of IS 318, Katie Dellamaggiore and husband Nelson and brother Brian Schultz painstakingly filmed, produced, and are finally releasing “Brooklyn Castle,” a film about the exploits of the chess team that always ranked among the best in the game. “Brooklyn Castle,” is scheduled for release in theaters on October 19th this year, after years of shooting and editing on a shoestring budget of under $200,000. The release date was announced by Producers Distribution Agency, which has already released three other films, one of which was the Academy Award nominee for best documentary, “Exit Through the Gift Shop.” This kind of release is considered a major achievement for an independent documentary but the film has already made an impression at some important film festivals, including SXSW, where it won an audience award; at the Brooklyn Film Festival where Dellamaggiore won the best new director award; and at the Newport Beach Film Festival where ‘Brooklyn Castle’ shared an audience award. The film is about the coaches, members and recent alumni of the chess team at Intermediate School (IS) 318, in Williamsburg, Brooklyn. We see these kids living their lives with all sorts of ordinary early teen problems such as ADD, school elections, scholarship competitions, parents who work long hours and parents who are not there at all. The assistant principal and chess coach John Galvin explains at one point that IS 318 is a Chapter One school, meaning that over 60 percent of the students there live under the poverty line. 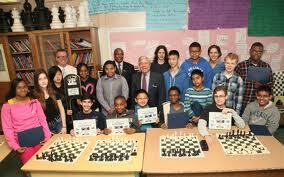 And we also watch these kids compete in chess tournaments like the champions that they are. 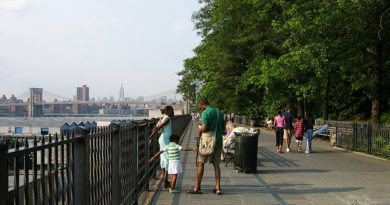 The school came in second in the 2011 high school competition, and tied for first place with the elite Hunter College High School. Finally IS 318 brought home the first place trophy to become the first middle school to win the U.S. Chess Federation's National High School Championship because they had actually won more games in the tournament than Hunter. Champion players like Justus Williams are in the film; Justus has since become the youngest African-American chess master. Chess is a game of solving problems. Despite the budget cuts at IS 318 and the difficulties shooting the film, the problems were met head on, solved, and chess continues at the highest levels at IS 318, while a fabulous movie was made depicting the unlikely but hopeful and inspiring movie about these amazing kids and their dedicated teachers.